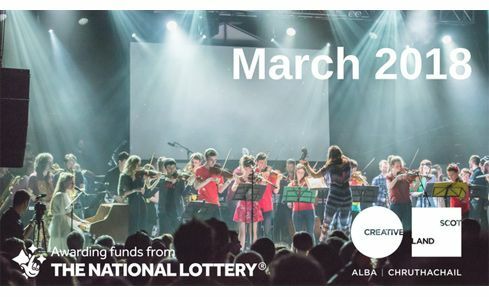 In April 2018 we shared the news that over £1.2m of Open Project Funding was awarded to projects across Scotland last month, plus big announcements in the world of music and visual art, and several new funds go live. 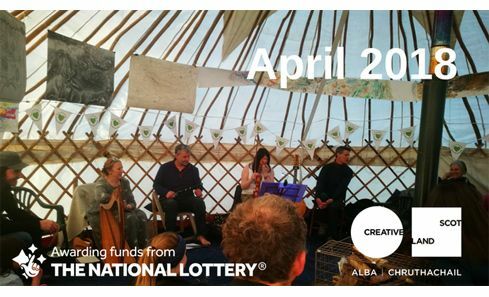 In March 2018 we shared the news that over £1m of Open Project Funding was awarded to projects across Scotland last month, and a number of festivals revealed their plans for 2018. Plus all the usual features and funding deadlines. 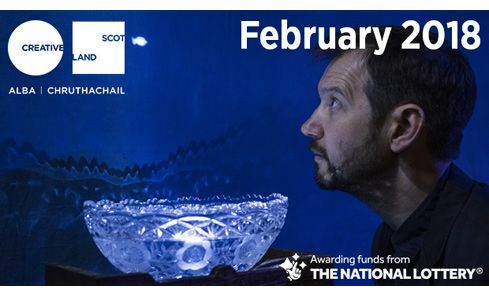 In February 2018, £830,000 of Open Project Funding went to recipients across Scotland, and we announced Robert Wilson as the new Chair of the Creative Scotland Board. Plus all the usual features and funding deadlines. 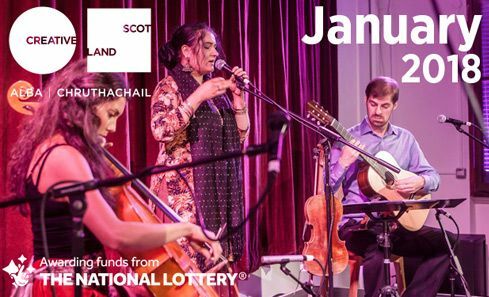 In January 2018 we announced the 2018-21 Regular Funding Network and shared the latest Open Project Funding awards of £800,000 going to recipients across Scotland. Plus all the usual features and funding deadlines. 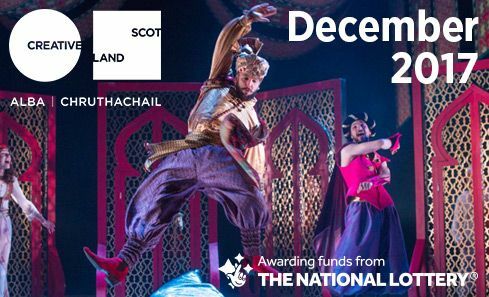 Our final update for 2017, as we announce a further £700k Open Project Funding for creative projects across Scotland, publish Screen Unit proposals, and report from the Scot Trad Awards. Plus all the usual features and funding deadlines.